The Field Events start at 3PM and will go to completion. The Track Event Trials for the Junior and Senior Divisions will start at 3PM with the Finals taking place on Saturday, May 5. The Parade of Athletes will begin promptly at 11AM and should conclude at approximately 11:30. It will feature ALL athletes from ALL Divisions and our Grand Marshall, David Ross. The Track Event FINALS for ALL Divisions will begin IMMEDIATELY following the Parade of Athletes which is expected to be around 11:30AM. 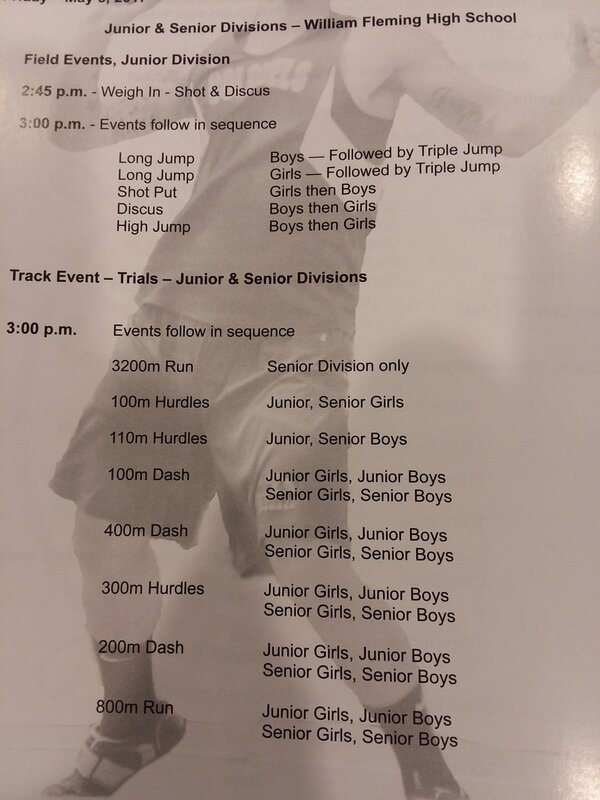 Notable Exceptions to ALL Divisions --- In Track, the distance Runs for the various divisions will only be run as a Final; there will be NO TRIALS for Distance Runs of 1600 or 3200. 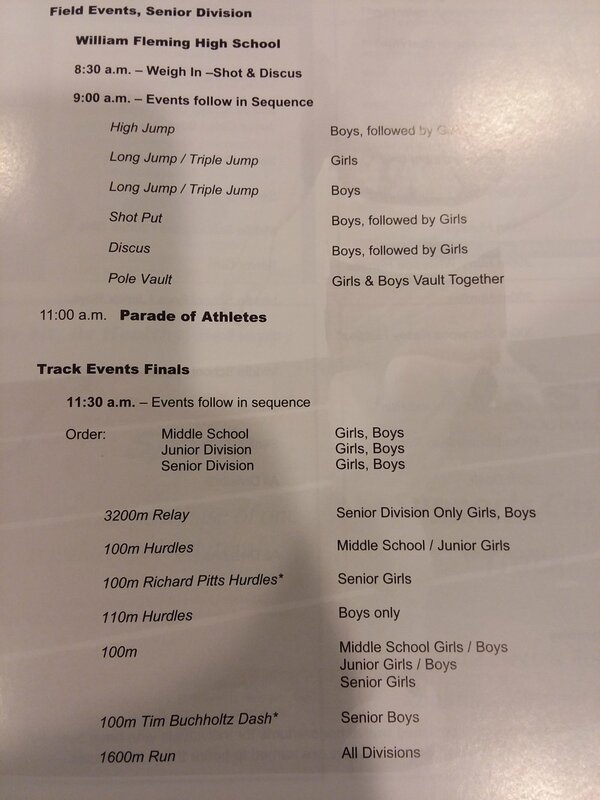 The order of events rarely changes and Randy Lower verified that the order is planned to be the same for 2018.